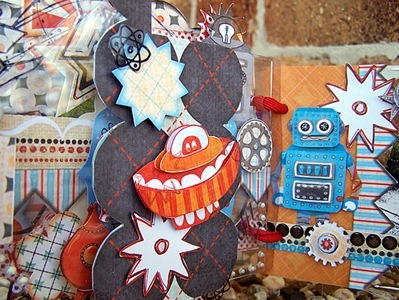 every monday from now we will feature a new series called POW, or Product of the Week. 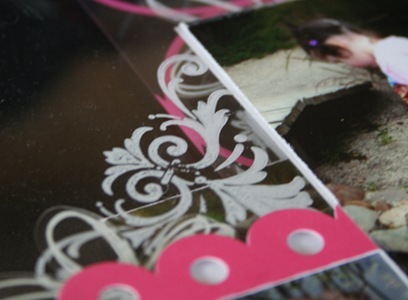 This week we cover mini albums, and have focused on the huge variety of acrylic albums that we stock. 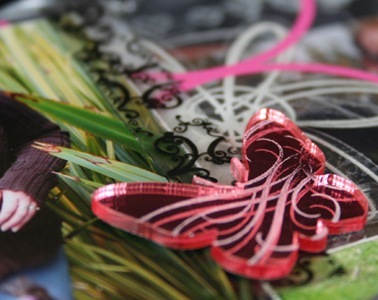 We hope you enjoy seeing what beautiful things our design team have created with them. 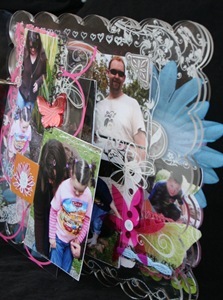 Projects like these can be daunting. 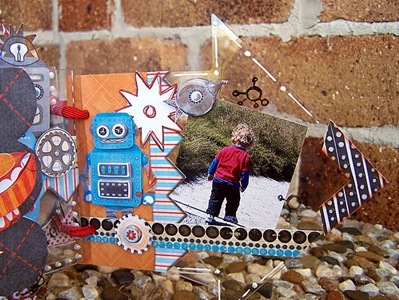 Donna has long been a loyal layout creator and has been reluctant to attempt mini-books. 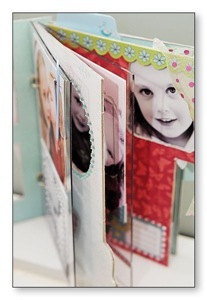 After completing this project however, she may well be THE mini-book convert of the year! 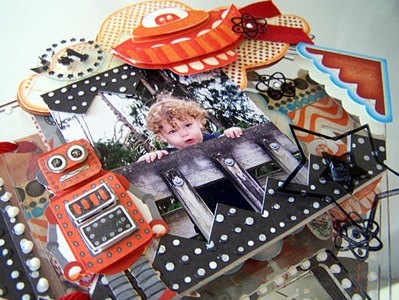 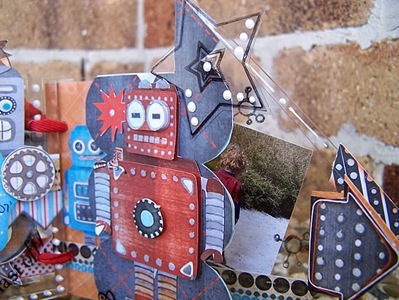 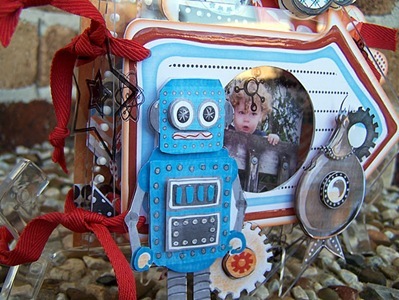 The Tinkering Ink Peek-a-Boo album with it's combination of sturdy cardstock pages and pristine clear acrylic pages presented Donna with a whole new mini-book experience. 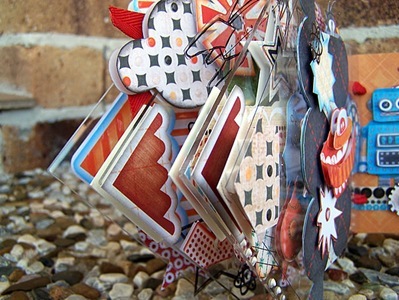 She admits that this was one of her most enjoyable projects this year - a big call for someone who creates many projects each month. 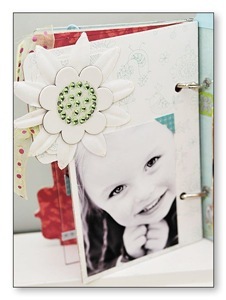 The Tinkering Ink Chipboard and Acrylic Albums really give mini albums a fresh face. 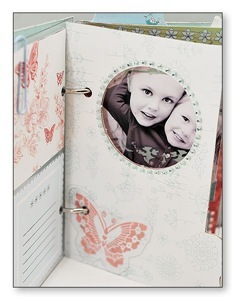 Each album includes "windowed" chipboard pages teamed with clear acrylic pages. 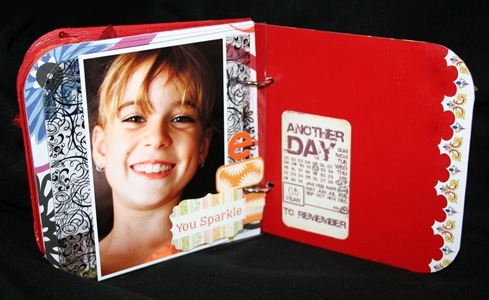 You can mix and match the pages to suit your album theme and as Jaimie has shown you are not limited to use just the album pages provided - you can mix in extra surprise products such as the Hambly transparency overlays. 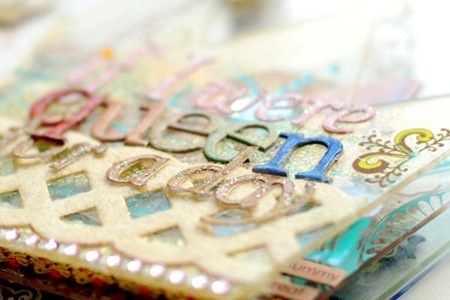 The creative possibilities are endless. 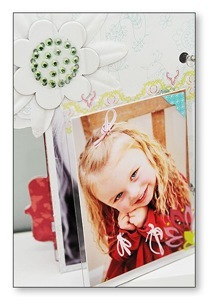 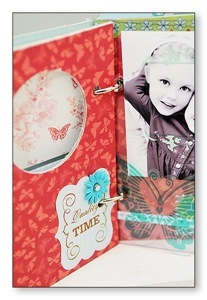 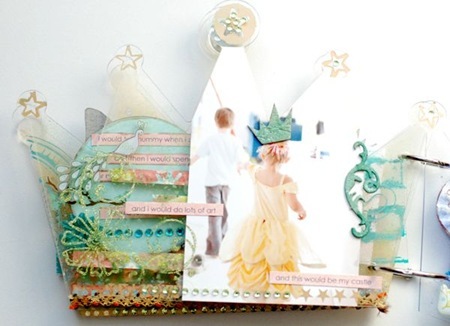 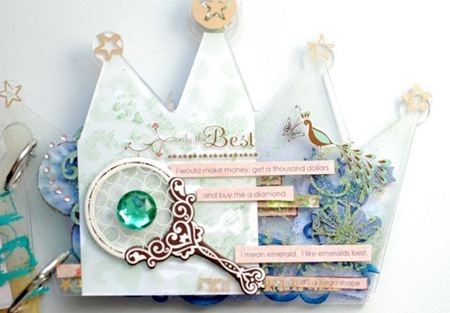 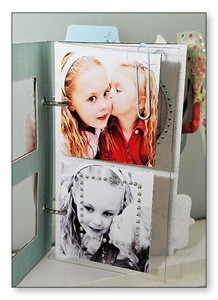 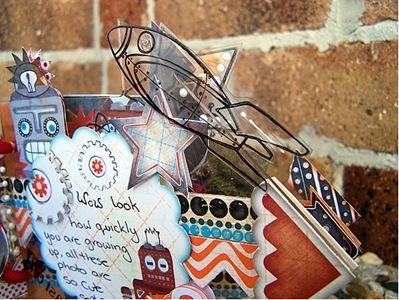 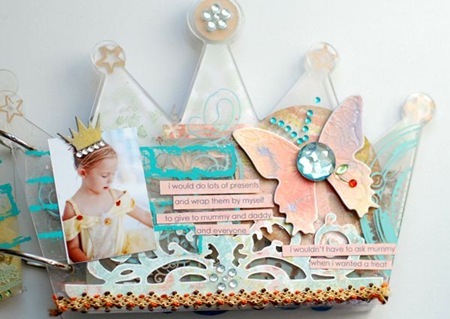 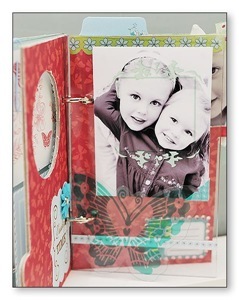 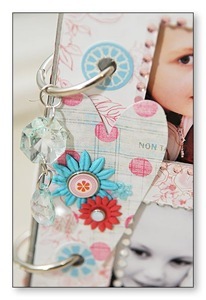 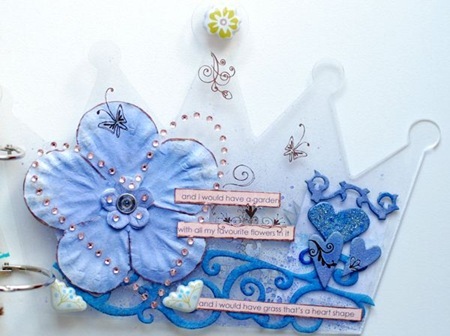 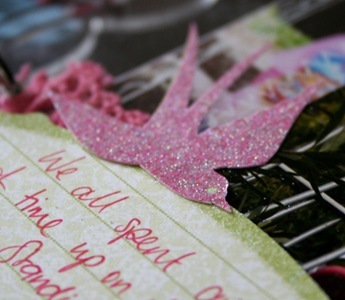 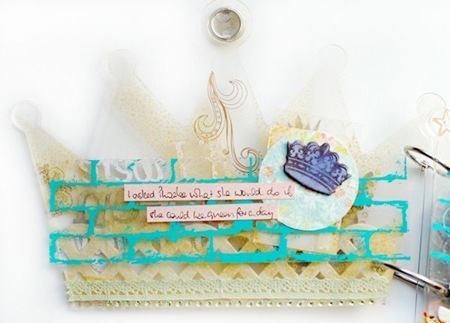 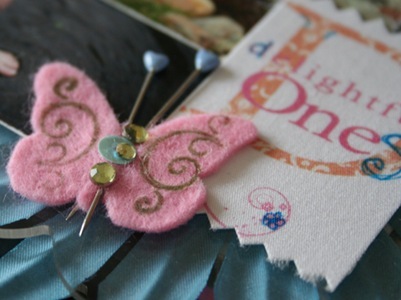 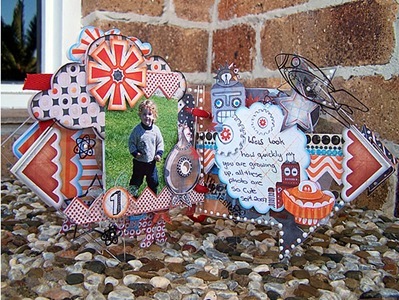 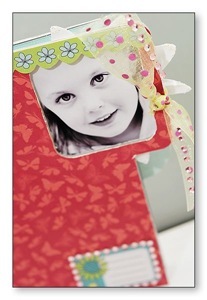 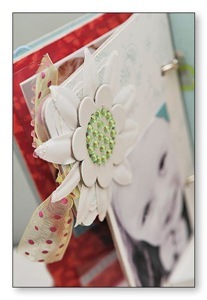 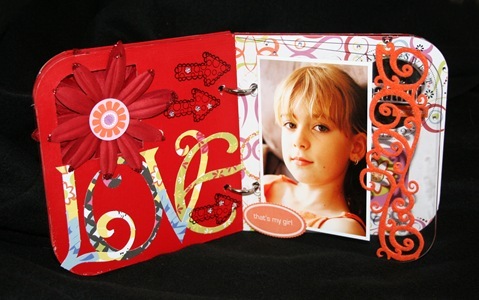 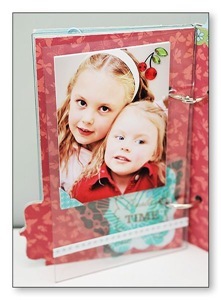 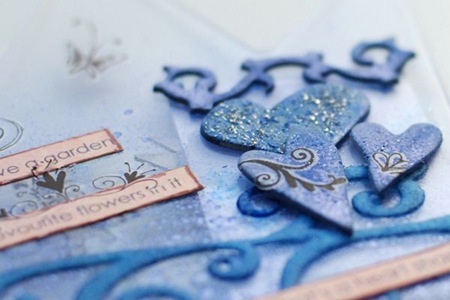 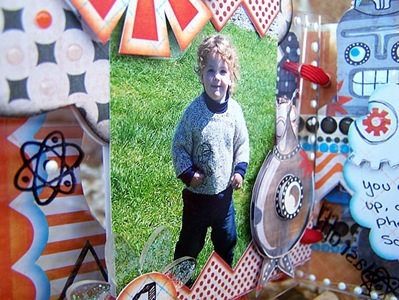 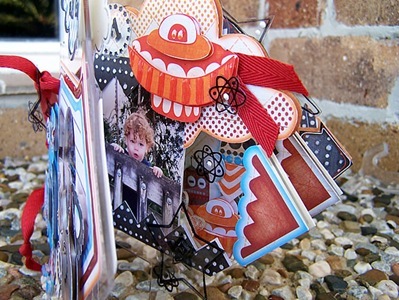 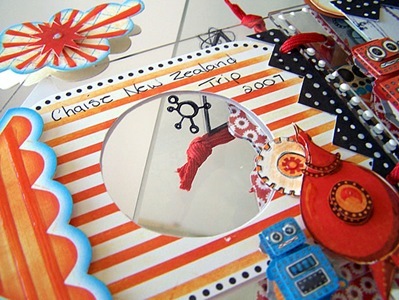 Suz created this magical mini album using the Scrapping Clearly crown shape. 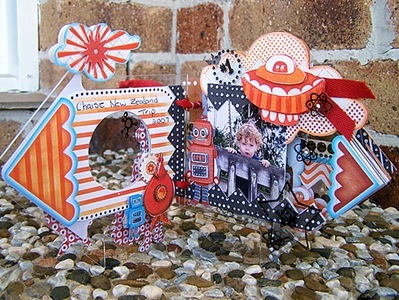 You may have seen it in a recent For Keeps Creative Paper issue, but here's a little journey through more of the pages. 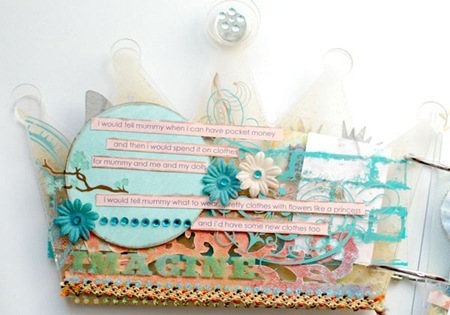 Suz asked her daughter what things she would do if she were queen for a day, and the answers make for a perfect time capsule of Phoebe's priorities right now! 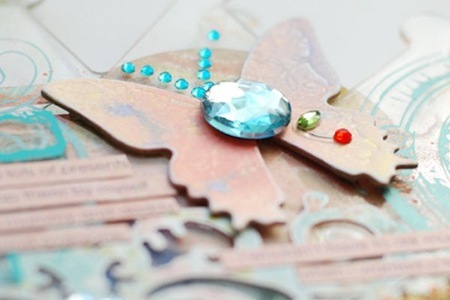 Suz used the beautiful Glimmer Mists on this album, on a variety of media including lots of Tim Holtz Grungeboard, Queen & Co felt and Tattered Angels Glimmer Chips. 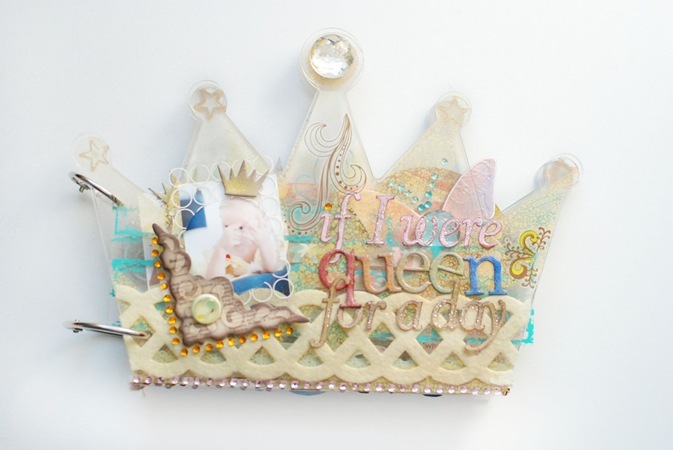 She used lots of Heidi Swapp Bling, Jewel Brads and Hambly transparencies for over the top girly-ness. 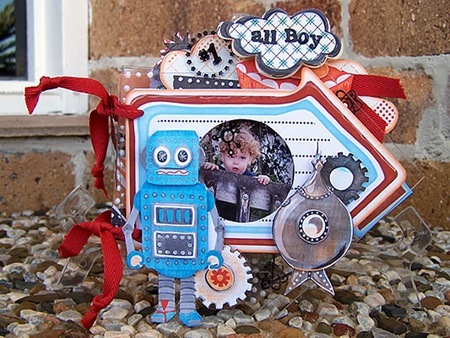 After all that girly-ness, we definitely needed a shot in the arm of BOY, and Carole provided the perfect antidote with Scrapping Clearly's arrow album. 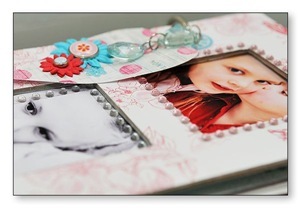 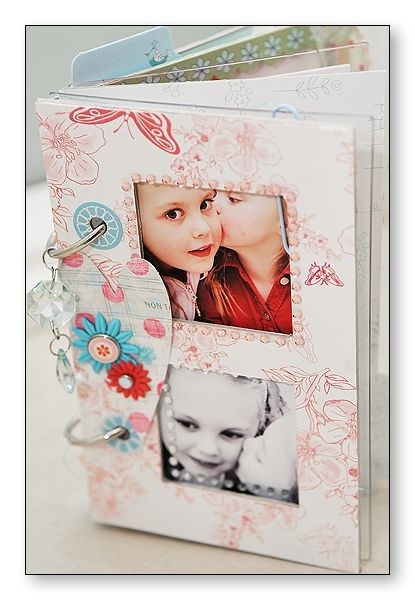 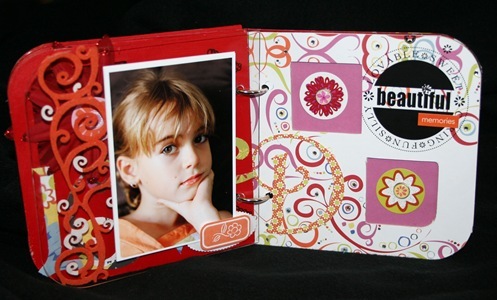 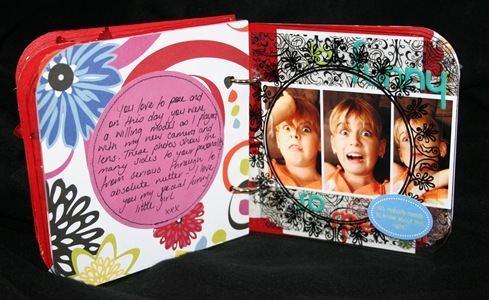 Carole says she loved creating this album, the acrylic is gorgeous to work with, very sturdy and very cute. 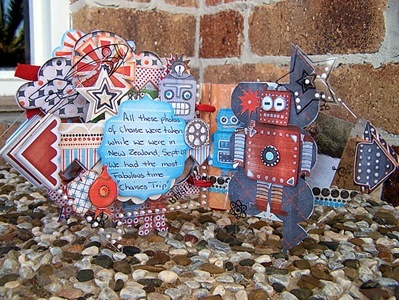 She embellished with Sassfrass Lass Robotics, one of her favourite lines In typical Carole style, she cut out and 3D-ed all the little robots and space ships from the patterned paper, and added plenty of Dimensional Magic. 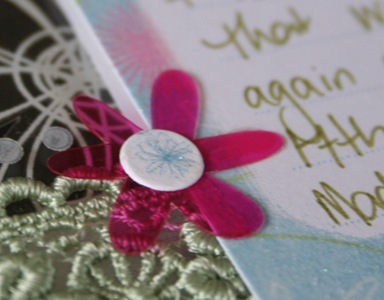 She also used some Inque Boutique Out of this World Stamps which worked perfectly, stamping onto papers and also straight onto the arylic surface. 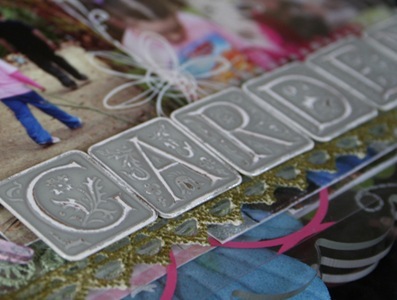 A very fun project for Carole. 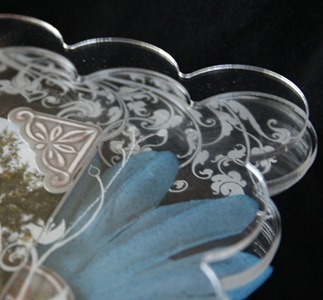 Stand back and admire the amazing amount of detail that went into this gorgeous keepsake. 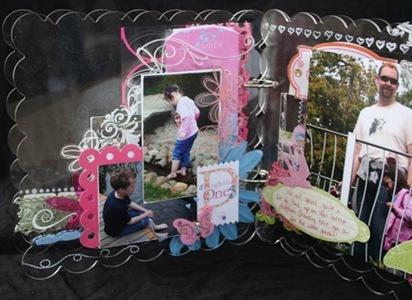 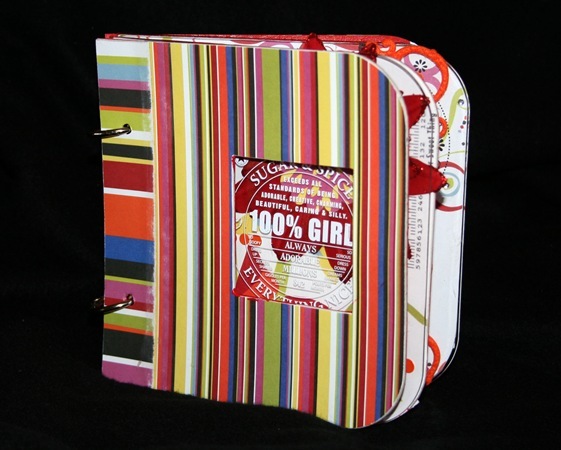 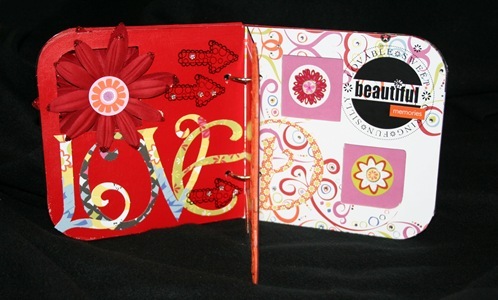 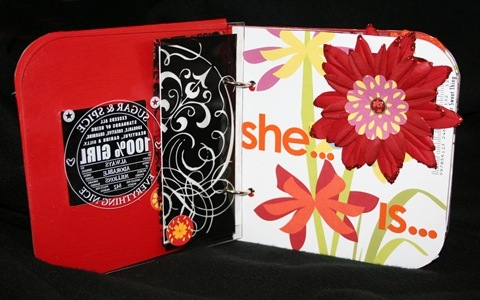 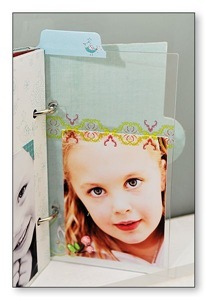 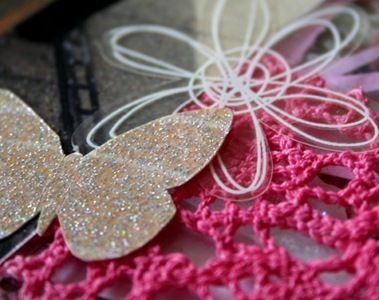 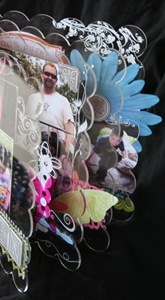 Finally, Nicole created this gorgeous acrylic book from a Scrapping Clearly 8-inch scallop album. 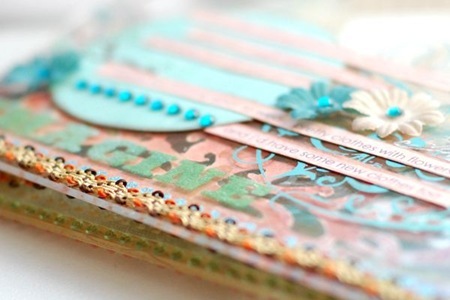 The beautiful smooth edges off a soft alternative to the straight edge and the thick pages make applying rub-ons and stamps a breeze. 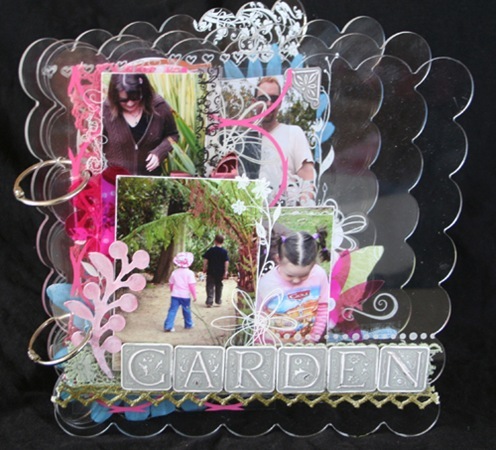 Using a combination of stamping, rub-ons, lace, flowers coloured with Glimmermist and papers, alphas and embellishments from Little Yellow Bicycle, Nic was able to create this beautiful keepsake with ease. 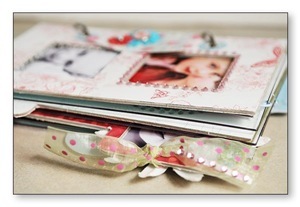 Notice how she has staggered her photos so that on each page you can anticipate part of what's coming up on the next one. 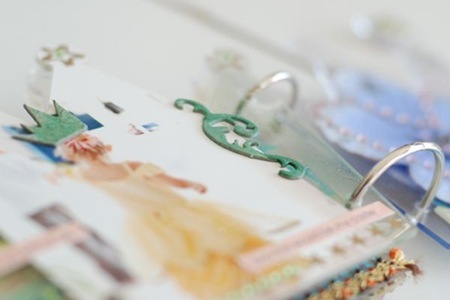 Sometimes the very point of the acrylic medium can be lost by covering too much of it up, and this is a perfect example of using the transparency of the pages to perfect advantage.